My first card features a few of the new items! 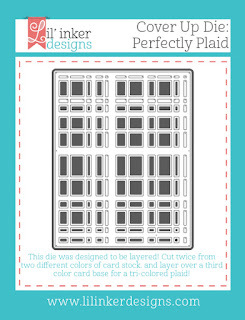 I started with a kraft card base and then added a white die cut from the new Cover Up Die: Perfectly Plaid. This die is sooooo cool. I used it in the most simple manner today, but you can cut it from multiple colors and layer it by turning it upside down, flipping it over, etc. You can create many plaid looks, I'll have more examples to show you after the release. 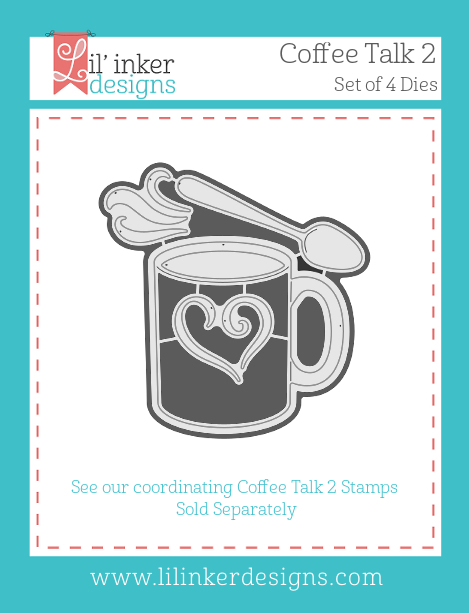 To finish the card, I create a steaming paper mug of coffee with the Coffee Talk 2 Die Set, embellished with the perfect sentiment that was stamped and heat embossed with the new. 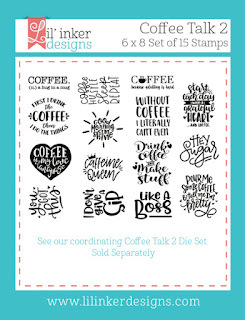 large and perfectly awesome Coffee Talk 2 Stamp Set. A little inked edges and Copic colored details make the mug and spoon pop off the card. I was really liking the color combination used in the above card, so I created a complimentary gift card holder using the new, fun To Go Coffee Cup Gift Holder Die Set using the same combination. This gift holder is so cool, it can be made in three swipes of a die cut machine: I used white cardstock for the lid (Copic colored detailing), Kraft for the base (inked edges) and coral for the mug sleeve. 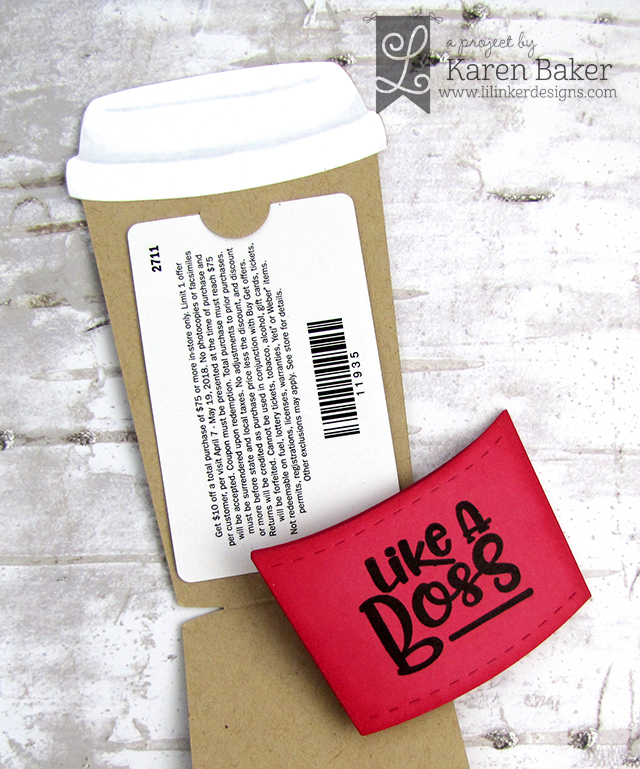 The sentiment was stamped in black, using the Coffee Talk 2 Stamp Set. I love all things coffee. The gift card holder is awesome. so perfect. The plaid die is a must!! Great card! The red mug against the kraft and white background just pops! These are such a fun cards Karen! Love the new To Go design! Paid and coffee how can you go wrong! I think these two dies and sets are my favourite from the release! Such great cards and gift cards. Your colour choice is awesome, love the red and kraft! What an amazing release! The white plaid, kraft brown, and red cup are Perfection! Great work! Cute projects. I love love LOVE the multi cat stamp and die set. The stamp set is a little pricey for my budget, but I love it so that I will end up getting it :) thanks for the chance to win it and the rest of the release. I really like the colors you used for your coffee projects - so pretty! Thanks for the inspiration and showing creative ways to use the awesome new release! These are two cool creations !! They look great---you took so much time and effort to make it just right. Love your plaid card! Seems that this is a really versatile die and it's at the top of my list so far...and it's a pretty long list for being only day 1 of the blog hop!!!! TFS! I love, love, love this giveaway! Fantastic card and gift card combo! Lovely designs and I love the colors with the craft cardstock. Your coffee cards are so cute, love anything coffee! Great color combos! Makes me want a cuppa. Great cards, Karen! 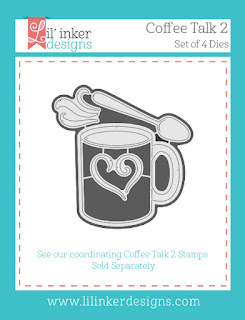 Love the Coffee Talk 2 sentiments and die sets. And, the Perfectly Plaid Cover-up Die is a must-have! Plaid and coffee are a great combination and your card is proof of that! Wonderful gift card holder too, those really come in handy! I really love all these new releases! Your coffee cards are the cutest. 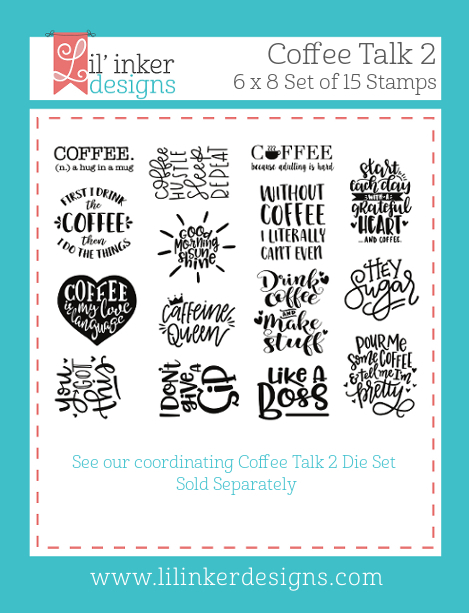 I am addicted to these new coffee stamps and dies. Your cards are darling. Coffee and plaid! Great combo! Love the new release! Love that plaid die! And the coffee dies are awesome too! I'm loving the plaid die. So versatile. Lovely card. The background die is fabulous! Fabulous designs, I know so many coffee obsessed people that would love these cards! Fantastic projects! I love caffeine queen! I love coffee cards and stamps...I have so many sets. Funny thing...I don't even like coffee! 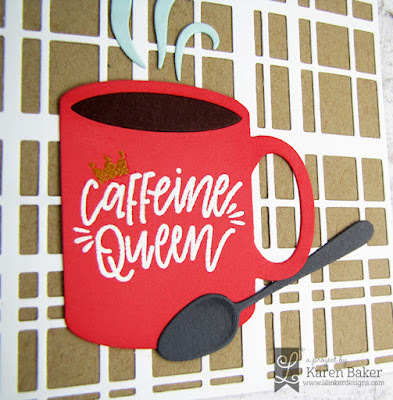 wonderful coffee themed cards. I like the plaid background on the first one. These are terrific... 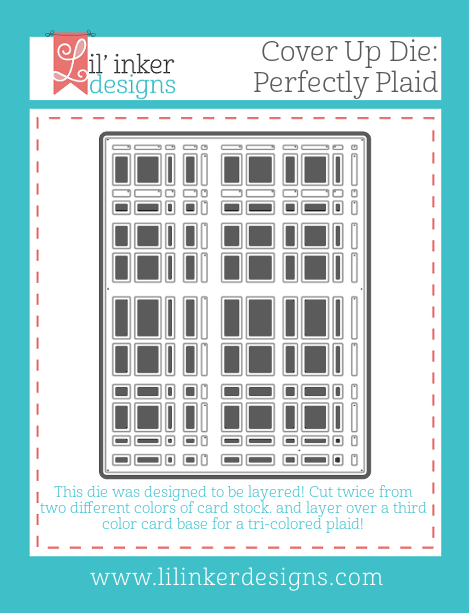 I love those genius plaid and gift card dies! You did a fab job of making the spoon look 3d! Love your creative ideas. 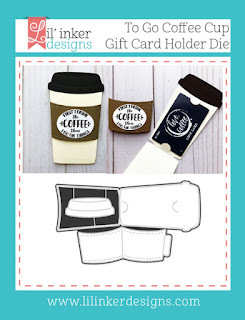 Great gift card holder. wow! Both your cards are really gorgeous! So fun! I love that plaid die. Wow! What a great release, and wonderful inspiration! I love that white plaid on the kraft! I love the kraft and that cover plate. It shows off the cup perfectly. And that is a great gift card holder. SO cute! I love the steam coming out of the cup. What a fabulous release. Awesome Awesome! 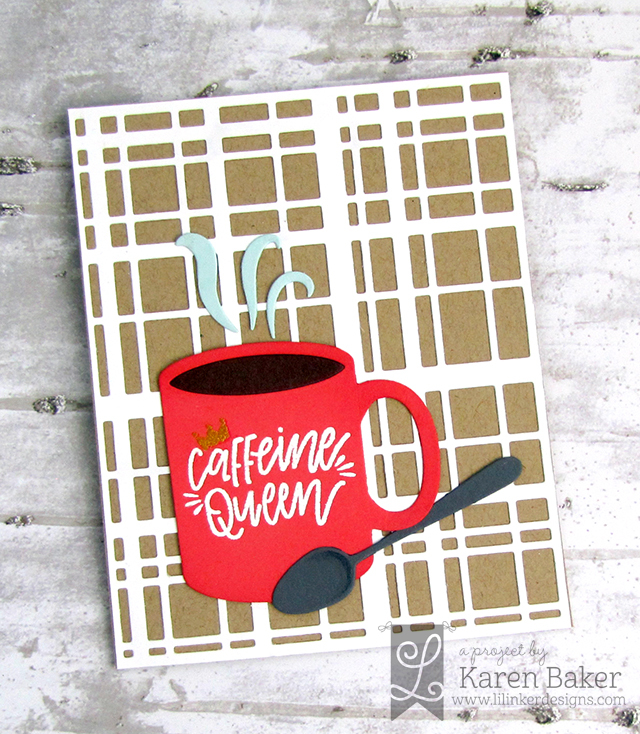 Caffeine Queen... can't wait to get that in my mailbox! Love these! Great BG die reflected the coffee cup so beautifully, love it! Wonderfull card and and the To o Coffee is indeed great for a gift card for a CoffeeLover. Such lovely cards, but with coffee you cannot go wrong. I LOVE the cards and the stamps and dies are just amazingly fun! 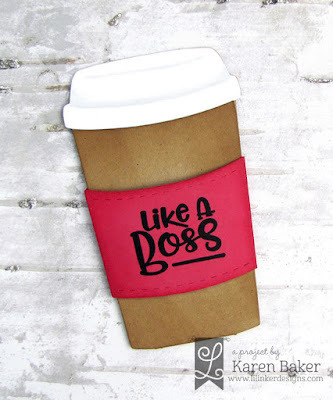 Super cute coffee themed projects. Really great coffee projects. Love the white and kraft plaid. Love your coffee card. The little steam coming out of the coffee is so cute. All the different coffee combos are awesome to see, so much inspiration! Love the bold graphic look of your card!